Europe, Japan, and the United Kingdom. Koller (1939–2007), largely produced in Bratislava. and even deployed media strategies? was their specific use and understanding of these images. in World War II and afterward went under Communist rule. These political regimes strongly controlled all types of media. Communist propaganda lied about its totalitarian character. in newspapers, magazines, in films or, later on, television. decoded for its hidden meaning. witnesses or collectors of already existing words and images. its original context in a magazine to reveal its double coding. arriving at subversive or political results. (IG) at the Institute of Contemporary Arts (ICA) in London. McLuhan’s 1951 The Mechanical Bride. (i.e., as merely documenting kitsch) is complicated. is deeply related to their wartime experiences. East Asia War.” This was the shared experience for everyone. Commander for the Allied Powers (SCAP). slogan at school: “Build peace in Asia by beating the U.S.
school or even at grade school–when the war ended. is a main feature of works of Tokyo Pop. with European Surrealism, not American pop culture. scrapbooks, which I will discuss later. media strategies in a more performative manner. artists using this somewhat private form of visual thinking. and George Grosz already in the decade before the war. remained early, mostly private endeavors. as art but as a material to be further processed. 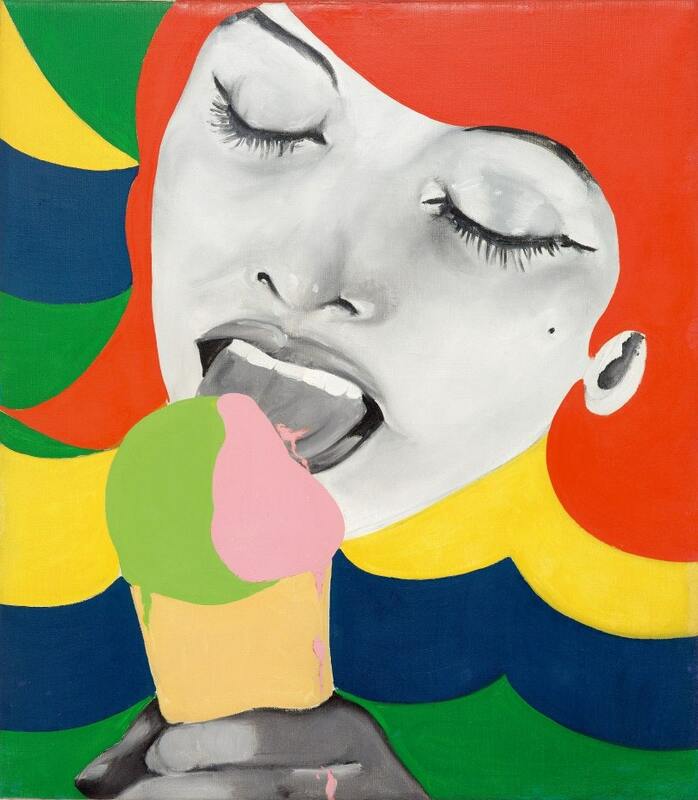 An early Pop artist was originally a Pop culture viewer. subversive toward the modern culture industry. before the method was appropriated for wartime propaganda. and how images were manipulated in the media. imagery and the image of TV monitors in large quantity. kitsch, and one does not need any special skills to make them. meaning, not far from the way cinematic montage works. are in fact carefully orchestrated sequences of images. marginalized in the Japanese art system. has an immense political implication. from the emergence of Pop ideas in the late 1950s and 1960s? tropes of outmoded pictorialism and crass commercialism. From its inception in 1950, ARK is best described as eclectic. way to Tony Bisley’s blurred black-and-white photographs. and Peter Phillips), an apotheosis that was complete by 1962. UK could approach the 1960s with a new confidence. in areas asynchronous to Western Europe or the United States. adjusted on plain white paper and are pure Pop for me. with the blurry effects of Warhol’s silkscreen paintings. far are about mass images basically seen though male gazes. and constructing definite works of art. as source material for several years. of the bodies of white American women. artists. However, their strategies were not so dissimilar. Tokyo Pop artists exploited Japan’s graphic-art traditions. on the global appeal of American pop culture in the 1960s. generations are also seeking ways to deal with social issues. as it was in the 1960s. types of realism that freshly reflected contemporary culture.